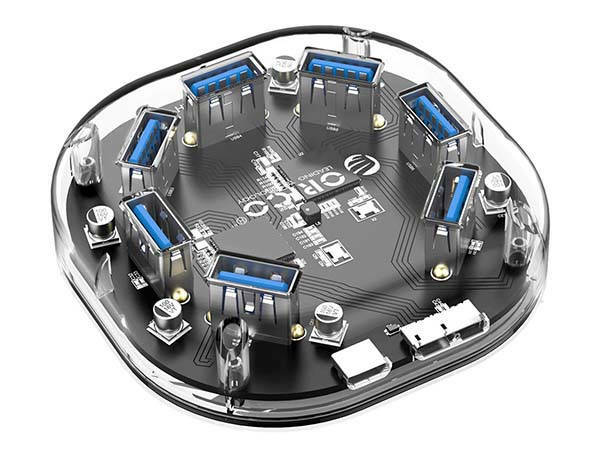 Using dual power supply Orico transparent USB 3.0 hub delivers a stable data transmission for those high-power devices. Need the feature? Let’s keep checking. The USB hub measures 75 x 19mm and weighs 4 ounces. As we can see from the images, the translucent casing shows off the internal capacitors, circuit and other components for a unique modern style. The compact form factor with rounded corners allows it to fit on any desktop, and you can effortlessly store it in your bag for easy carrying. 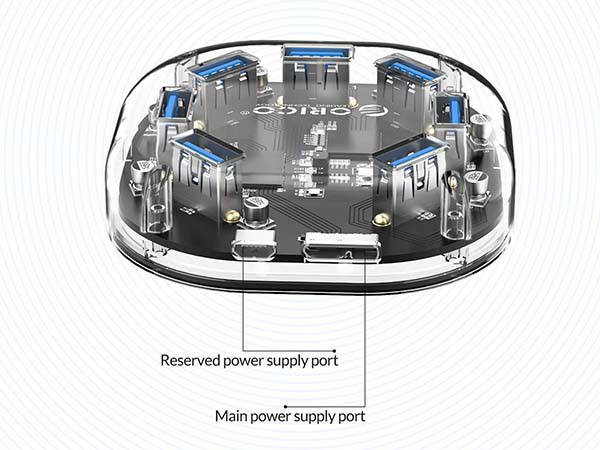 The USB hub comes equipped with 7 USB 3.0 ports, and using dual power supply design, the hub is able to deal with 7 connected devices or high-power USB devices. The stable power supply also guarantees stable data transmission at full speed. The top-facing USB ports let you conveniently plug in your USB gadgets or remove them from the hub. The transparent USB 3.0 hub is priced at $29.99 USD. If you’re interested, jump to the product page for its more details.